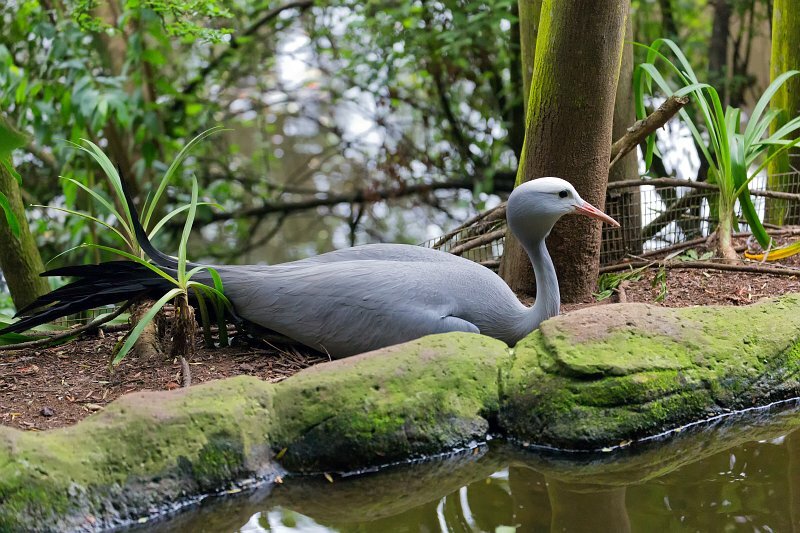 This crane is pale blue-gray in colour becoming darker on the upper head, neck and nape. From the crown to the lores, the plumage is distinctly lighter, sometimes whitish. The bill is ochre to greyish, with a pink tinge. Unlike most cranes, it has a relatively large head and a proportionately thin neck. Blue cranes are birds of the dry grassy uplands, usually the pastured grasses of hills, valleys, and plains with a few scattered trees. They prefer areas in the nesting season that have access to both upland and wetland areas, though they feed almost entirely in dry areas. Most of their diet is comprised by grasses and sedges.